Cloud und App platform, no time-consuming installation, just intuitive operation. Real time information about your stocks and movements. Can be used for all load carriers, closed and open pool solutions and systems. Pay what you use: A transaction costs you less than a cent (0.25 cents) per item. 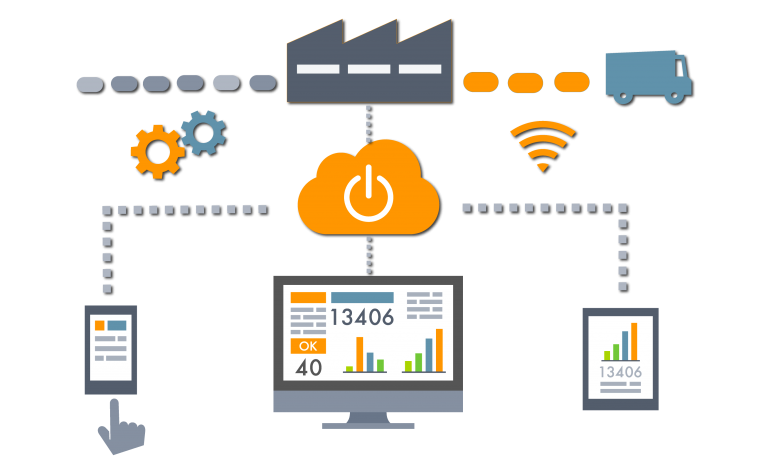 Real time transparency: The key to your successful load carrier management. With our solution gives you a tool to create an intercompany work flow in order to manage your load carriers. With standardized interfaces to your ERP systems, you can easily use this perfect symbiotic combination of the Smartphone App and the Web Portal. Our software solution offers you maximum transparency when tracing all movements of commonly utilized load carriers (pallets & containers). It makes no difference if your load carrier is in an open or a closed pool for consumer goods and industrial applications - you get a clear overview of all claims and responsibilities. With its ability to process real time data, this Cloud App Solution provides you with an optimal use of your load carriers at a minimum expense. You can easily cut down the milage for relocating empties with the real-time planning tools. The risk of loss within pallet exchange systems decreases as a result of the transparent chain of data and the intuitive administration. The smart poolynk platform records movements based on the "four-eyes- principle" using the Smartphone App, thus implementing a closed chain of information - in real time. The four-eyes-principle occurs when the addressee acknowledges the receipt of the re-usable transport items by giving a digital signature through the poolynk App on the smartphone of the delivery driver. All data and necessary documents (delivery notes, damages via photo directly linked into the order, ...) can be digitally attached to each order. This process takes place without having to adjust existing processes or without requiring any time-consuming installation within your IT architecture. Rely on transparency for your load carrier management with an intercompany, industry-independent and global solution. Register on our website for free. As a registered partner (shipper, forwarder, or consignee) simply log-in via web access into our Cloud-Application based on Microsoft Azure. You can easily choose from any already participating loading and unloading sites from a dynamically generated list of suggestions. You can also choose the load carrier type used for your specific order. The range of load carriers is offered by system through our global catalogue, images ensure that you select the appropriate item type. The global catalogue can also be viewed from the app. After successfully booking the load carrier, you receive a detailed overview on the inventory and movement management immediately - you will then receive an account balance in real time per load carrier type and partner. This way, you have all of your claims and responsibilities at a glance at any time. Once the booking is placed, you receive a detailed bird view on managed stocks and movements immediately - balances by type of load carrier and partner are available in real time. Consequently you have all your claims and responsibilities at the palm of your hand. It doesn't even cost you a cent! Not a cent! And that is exactly what we mean. With our solution, you only pay for what you use. No investment costs or increasing license fees. For a real-time booking, you pay only 0.25 cents per load carrier. A booking occurs whenever a load carrier is handed over to the next supply chain partner. Use our innovative solution for your own load carrier management and keep everything under control. Are you convinced now? Go ahead and register right away. Do you still have questions? Give us a call or send us an email.